A few notes before I jump into this. First, I realized in running through several drafts of this post that it can be hard to talk about networking without coming across as a bit cold or transactional in how one approaches relationships. I hope the note below doesn’t come off that way – my aim was to talk about something that I really care deeply about and offer some ideas for how to strengthen and deepen the working relationships in your life. Secondly, I’d like to thank Patrick (who I reference below) for his review and feedback of several drafts of this post – it was very much appreciated (and needed). While we live in a hyper-connected world, how deep do those connections really run? And how do we better cultivate those relationships? It’s easy to pay lip service to our networks, but for me and for many of the readers of this blog our networks – the relationships we maintain with our peers and our contacts – are central to our lives (and here I’m purposely blurring the lines between business and personal, as many of the relationships we maintain do the same). I’m deliberate about how I maintain these relationships and wanted to share some thoughts/ideas on how to better maintain one’s network. I’d like to give credit here to Patrick from MindMaven, who helped me hone these skills and who has been a voice in my ear for the past year keeping me honest about making sure I care and tend to my network. Make relationship building a priority. I’m often thinking about ways to be more connected to people in ways that are both authentic and meaningful. Relationship building is important to me and rather than let it happen by accident I regularly look for ways to deepen the relationships I have with friends and colleagues. The point I’m making is that being authentic and meaningful doesn’t always have to equate to a lot of work and effort. I actually believe that many people fear the effort they avoid it completely (I’d actually say that most people do). However there are ways in which you can deliver authentic and meaningful experiences to your network that do not cost you too much time and effort. By making relationship building a priority you will develop habits around it. For example, one important habit I’ve developed is not letting things pass me by that are clear and obvious touch-points with someone I care about. I’ve found that a simple “saw this article about your company and it made me think of you” or “saw your quote here and I found it really insightful” or “saw this on Twitter and thought I’d share it with you” is extremely powerful. Plus it’s authentic. When I see someone I know has raised money, or been featured somewhere, it makes me happy. But instead of letting that thought pass, I take a minute to write a quick email to tell them that. The key here is to not let the moment pass or try to remember to do it later – when you are in the moment, the likelihood of actually doing it is much higher. At the time you see something that reminds you of someone, take 30 seconds and tell them that. It doesn’t take much time to send that message but it shows that you genuinely care about the relationship. The reason why this is so powerful is that it creates interactions that are relevant but where you are not asking for anything. It separates you from the transactional nature of asking for a favor from someone you haven’t talked to in a while. Investing in relationships on an ongoing basis create stronger bonds and if there does come a time when you’re asking something of someone in your network it feels more natural and less transactional. Tools to help. At the end of the day, tools help but don’t take the place of actual work. In the tech industry we often try to rely on tools as the solution to our challenges when we identify a problem. That is rarely the right answer. Better is to figure out the habits we need to establish and use tools to reinforce or take friction out of those habits. With that as an important preamble to this section, I have found many tools that help me do that…Organizing this activity is important – there’s so much information flowing at each of us, it’s easy to miss stuff. Developing a tool-set to support your networking and engagement work doesn’t have to be particularly complicated – for me it’s Tweetdeck to manage various groups on twitter; Feedly to manage the blogs I read; Accompany to help track news mentions of people in my network; and Contactually, which I describe in more detail below, to organize my network and keep track of who I’m connecting with. They all help me stay on top of what’s going on and allow me to gather data on my network to I don’t have to search out news and updates – those updates come to me. A personal touch matters. I have terrible handwriting so this doesn’t come easy to me, but I have nice card stock that has my name on it with envelopes with a printed return address and I regularly use this to send notes out to people I’ve met with or who have helped me out in some way. A trick I’ve found is to use a sharpie – it slows me down and forces me to write more clearly (not my strong suit, as I said). The note doesn’t have to be a long one – the point is that I’m taking the time to write something personal, address and stamp it. Emails are great, but I don’t like to miss the chance to send someone a personal note of thanks. Know your network. Being proactive about your network doesn’t happen by accident but it also doesn’t happen if you’re not deliberate about who is in your network in the first place. Most of us manage this in our heads, which is a mistake. I’ve played around with a few different tools for this and the one I rely the most on is Contactually. This platform integrates with my email and allows me to track how often I’m interacting with my network (over email and twitter at least) and, most importantly, set reminders and goals for how often I want to connect with people in different parts of my network. I’m not a slave to Contactually – I don’t reach out to people for no reason just because Contactually tells me it’s been too long, for example – but I do use it to make sure that I know how frequently I’m interacting with people in my network and to set reminders for myself to stay on top of my contacts. Ultimately all of this comes down to care and feeding. 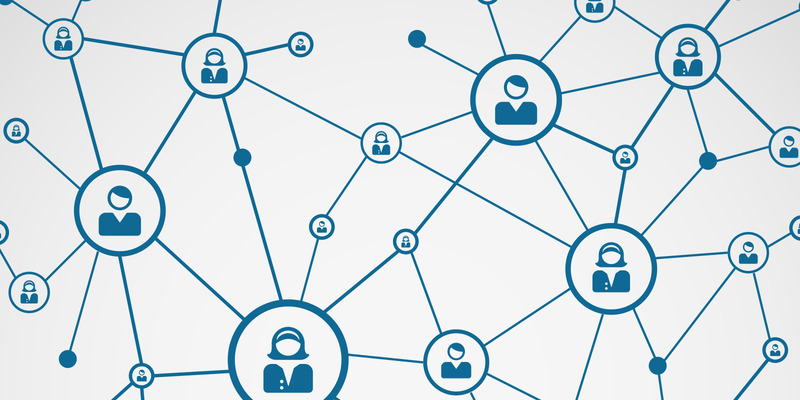 Your network is in some ways a living, breathing organism. Yet most of us treat it like it’s static and exists when and as we need it. But networks need work and you’ll find you get out of them what you put into them.